Perry Como sings for us again on “The Chesterfield Supper Club”, originally heard on NBC on March 8, 1945. 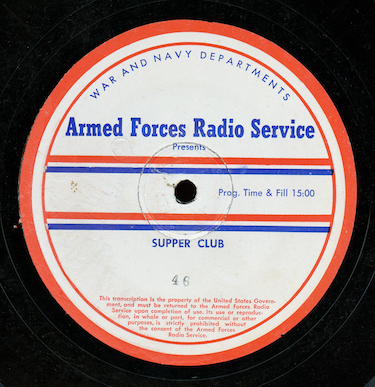 This is the Armed Forces Radio Service version of the program where it was number 46 in the series. Perry starts off the show with “I’m So Lucky to Be Me”. The show was transferred direct from an original 16” vinyl Armed Forces Radio Service transcription.